Become a Member of the Triangle Club! Membership dues are $20 per month for an individual or $30 per month for the entire family. Annual membership dues are $220 for an individual or $330 for the family. Membership entitles you to stay in the Club at anytime during business hours. If you choose NOT to join the Club then you are welcome to attend any meeting, 20 minutes prior to its start and stay 20 minutes after the meeting closes. Please remember this is a Private Club and membership is a way of helping us to continue to carry the message to the suffering alcoholic. 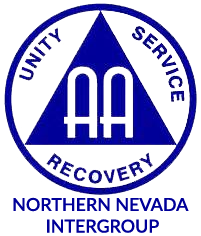 The Reno Triangle Club opens its doors to provide a safe social environment for members of AA, Al-Anon and Alateen.